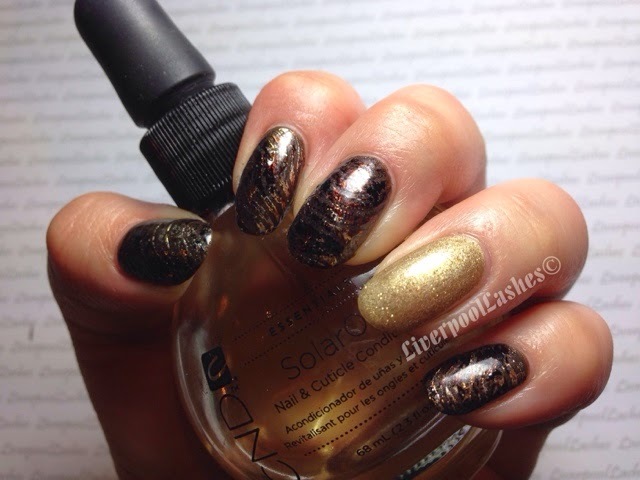 From the moment I saw CND Additive in 'Sizzling Sands,' I knew it was going to be popular. 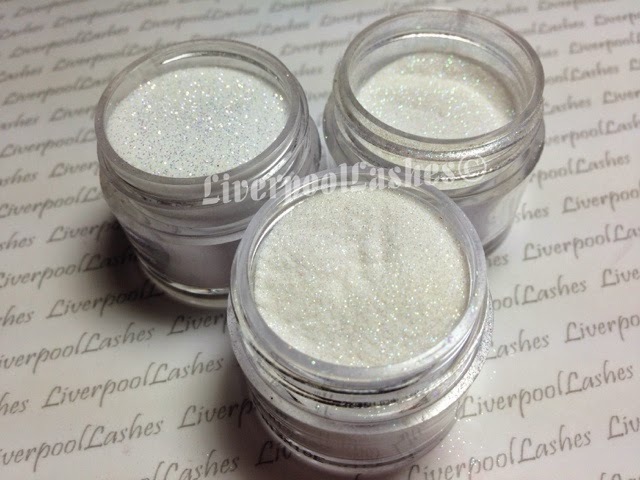 It was part of the Paradise Collection of Additives which is probably my favourite set so far. 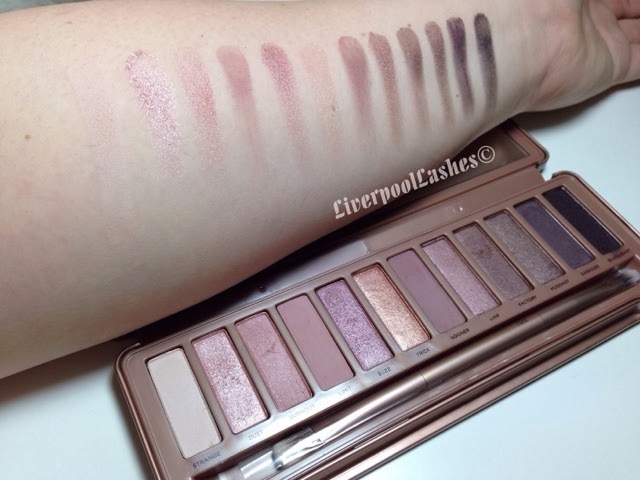 For those who weren't only to get their hands on it, I wanted to see if I could find an alternative of it and also for the people like Mandi Whorton who have managed to completely finish their pots of it already! 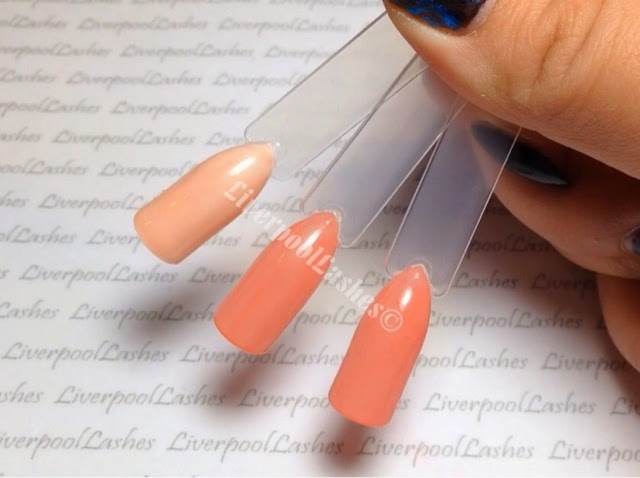 As I used acrylic powder in my The Perfect Peach Shellac Shade, I have had someone ask me if it's okay to use with Shellac. 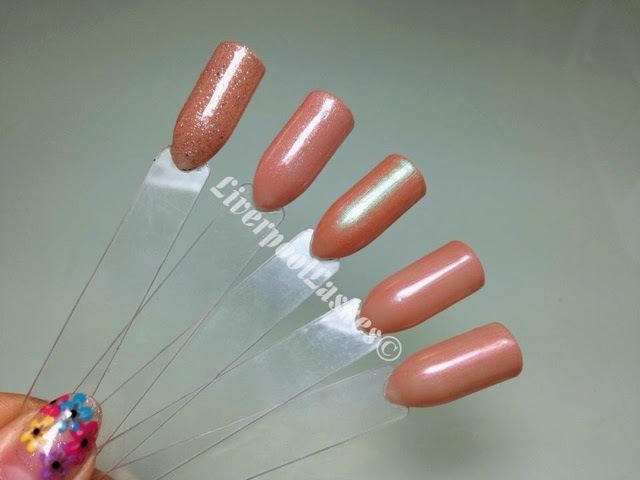 A while ago, amazing nail technician Gigi Rouse herself openly advised that as there is not a white Additive, she sees no harm in using a little white acrylic powder. As I explain in my video, the acrylic powder I used doesn't seem to be a true acrylic product as when I mix it with acrylic liquid to try and form a bead, it doesn't set. Therefore I do believe that this particular shade may have only been designed to mix with other colours, and Shellac! I really had fun filming my little experiment! Here's the video! I think that the alternative I've found is pretty close, I'm really happy with it so I hope this helps! Don't forget to follow my Facebook page to keep up to date with my videos and blog posts! 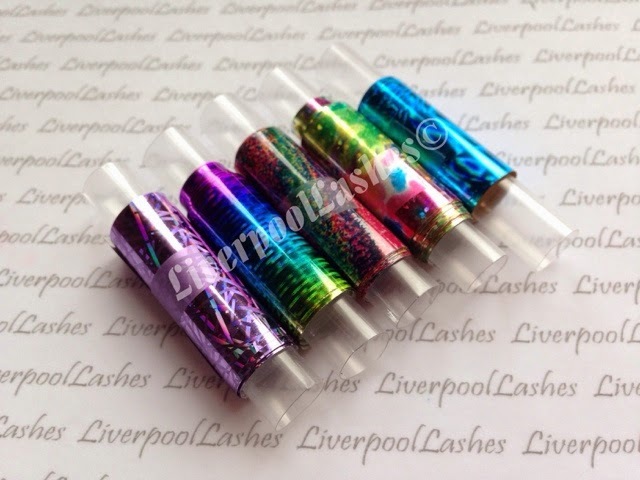 Ali had booked in for special nails for her weekend away in Blackpool. She had her eye on one of the prints my MoYou Sailor Collection Plate 07 so we brainstormed ideas to encorporate it. 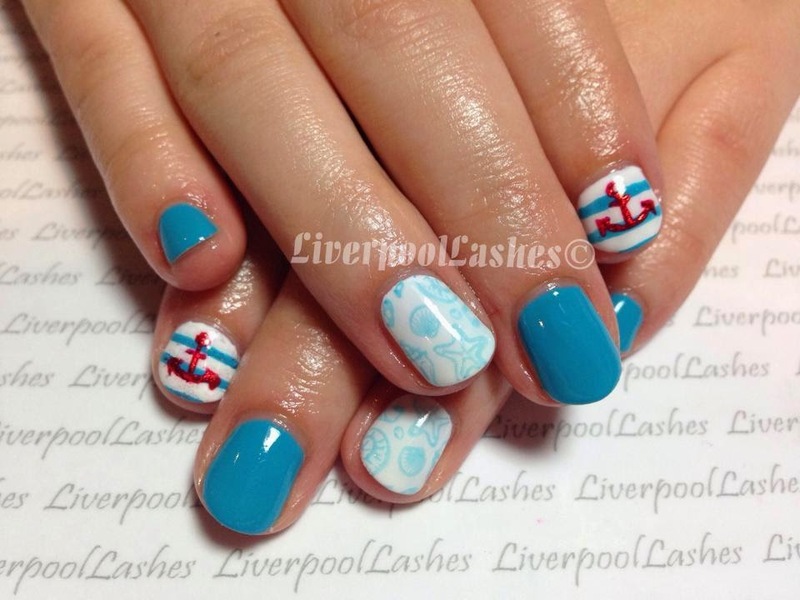 After going through different options for the perfect beachy/ nautical nails, she decided to have the print on her ring finger only which I actually did over Shellac Cream Puff using Shellac Cerulean Sea as my print colour which I haven't tried before. I then used Cerulean Sea for the stripes over Cream Puff for her index fingers and all other nails. I then used Wildfire to paint an anchor over the stripes but before I did it I removed the sticky layer and then when I was happy with it I cured it. 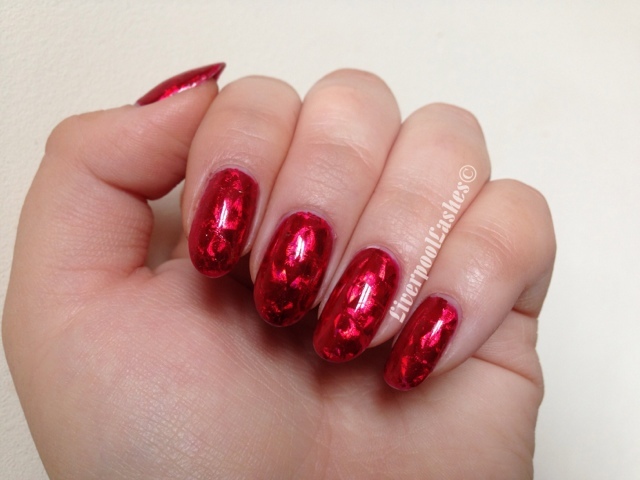 Using red foil I then tapped it over the anchor which really makes it a little more special, finishing with a top coat. 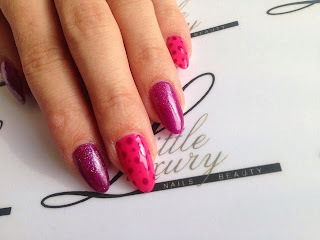 I adore these nails! The red anchor is just adorable! Even when I was training, I've read discussions / rants on very public forums about other therapists offering extremely low prices. 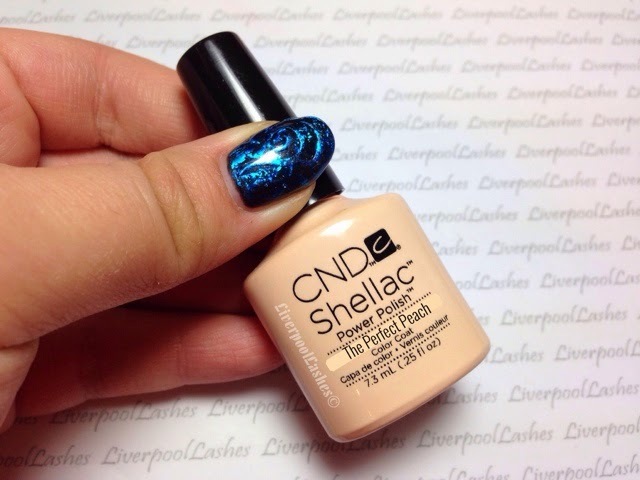 We have all passed salons that have a sandwich board or something similar with "Shellac £10" or another unusually cheap offer and I can understand the frustration to a certain extent. If this is a service that you provide then I can imagine that it does unnerve you as you know you could never afford to offer such a low rate. Afterall, you know that the cost of service and the tax you will have to pay to the tax man, means it would leave you working for probably something potentially close to a single pound. 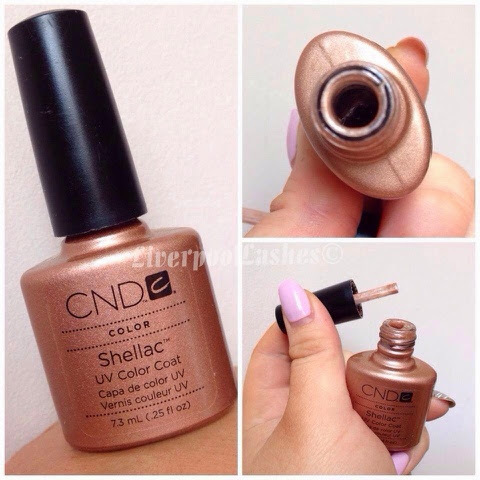 Of course there are many other factors that the general public may have not considered, the main one being if they're actually using the genuine CND Shellac or some cheap imitation. Also the potential other factors like the lack of hygiene and other cost saving techniques that mean that they can afford to offer these treatments at an unbelievably low price. If you've read my 'setting your prices' post, you'll realise that price gives off more of an impression than you've ever realised. In the UK we can buy Fair Trade products which in a nutshell means that we can buy products that have been sourced and produced overseas at a fair price to the farmers and suppliers. Here we have a national minimum wage for the over 16's and so on, yet some clients will happily allow therapists to work for as much as half the UK minimum wage, or even less than that. 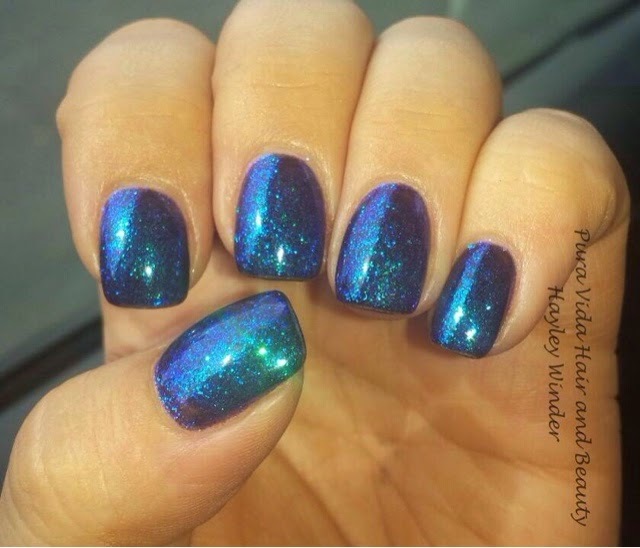 When I was a new nail technician I will admit that I used to get borderline offended that acquaintances could be overhead to say about an amazing deal on Groupon (or somewhere else) and I would always be incredibly polite but ask how they felt having someone work for them for less than the minimum wage. I probably made them a little uncomfortable but it genuinely intrigued me. Unfortunately, keeping the prices very low in the long run will only devalue the general price of the service. There will always be someone whos willing to undercut you, even by 50p to get the appointment. It's for those reasons that I encourage everyone that I speak to to charge what they're worth. 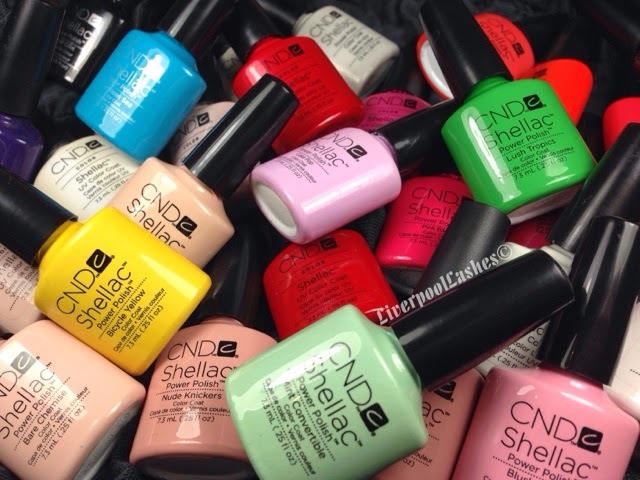 Once your reputation is built, clients will not factor in that 'up the road' does Shellac two pounds cheaper as their main priority is the quality of the results, not the minimal saving they will get from elsewhere. I do believe that this knowledge comes around once you have built your reputation but is difficult to see when you're new to the industry. I think when it comes to other salon's special offers, it's worth being aware of them but to keep focused on what you're doing. 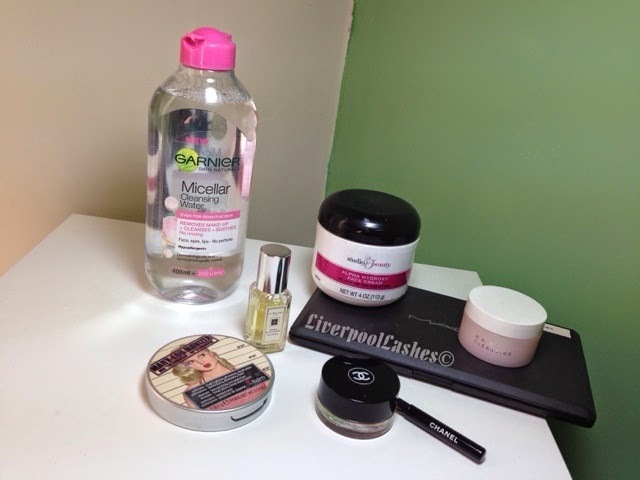 Offer the best service possible using the best products and your client base will grow. I'll leave you with this thought, I have had a therapist tell me that a neighbouring salon has a nail tech who works 10 - 12 hour days as her prices are so low. The interesting point that she made to me is that she can earn the same amount in half of time as this therapist, still pick her children up from school and be at home with them by keeping her prices to the recommended industry standard. I hope you enjoyed this post! If you did there are many more on different topics directly below the banner under the 'advice for therapists & hairdressers' tab. Following on from my post yet all about Shellac Shelf Sitters, this week I decided to have another go at using the less loved shades to create a design for my nails. I wanted to include some foils from my 'Foil Haul' somehow as well. I eventually decided on Overtly Onyx on all nails. I then removed the sticky layer from every other nail and used Waterpark and Lilac Longing to create a random swirly design. After curing that for two minutes I applied some foils. 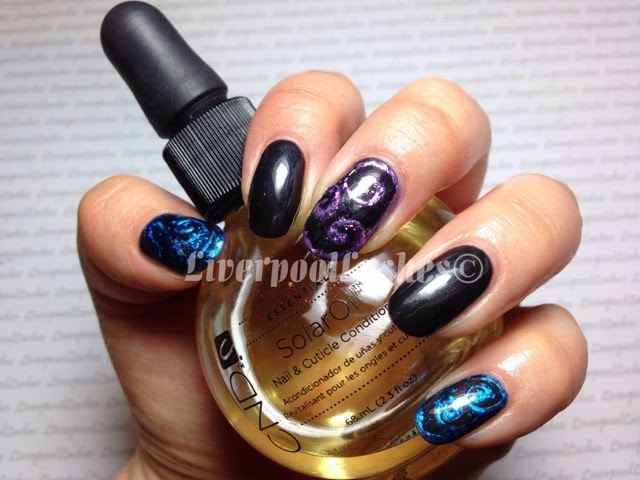 I really enjoy the effect of the two colours together on the patterned nails and Overtly Onyx is a stunning shade for those who enjoy the darker colours. Shellac Shelf Sitters - Mission two: complete...!! Shellac Shelf Sitters, I'm talking the great unloved shades. Some of them I believed would be popular when I purchased them but for some reason, they have been permanently overlooked for the more 'good-looking colours' and it's a shame. Also I see it as a financial loss if they're unused. All of this came around since the death of my Iced Cappuccino which I spoke about a few months ago on my Facebook page. It was one of my original bottles and had only been used a handful of times underneath gold glitter but that was pretty much it. Actually, I was surprised when my client chose it so I happily brought it down from my rack and just couldn't work out what had happened as when I opened it, the brush was missing. If you'd have seen my face it was borderline hilarious, I was so confused until I realised that the liquid had completely cured, embedding the bristles of my brush into it. I see that as a huge waste. 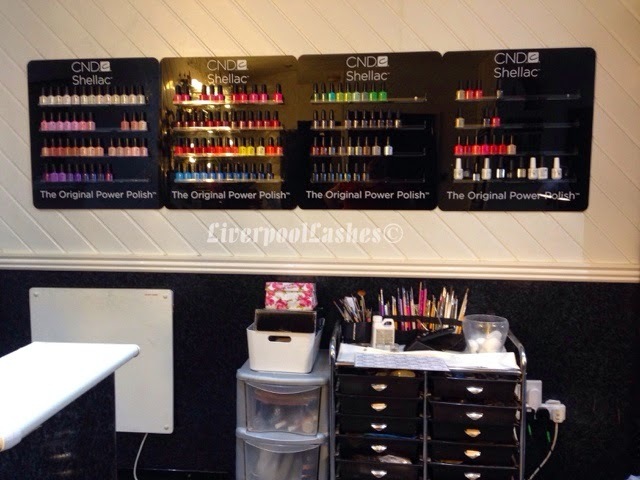 I want to make it clear that my Shellac racks are on a wall with no direct sunlight, the area that they are in has the blind permanently down to protect them and no other shades have been effected but it's still prompted me to promote my more unloved shades to ensure that they do not suffer the same fate. I do believe that at three years old, some bottles do have the potential to cure so I want to prevent this. To a certain extent, I do believe that colours that we naturally don't appreciate ourselves as nail techs, will reflect on the clients. Put it this way, when I do have some free time to put together new ideas for layering combinations I never reach for the colours that I'm not fond of. I just haven't felt like it was fun to see if I can create new colours from them so I know that my eyes naturally shun them. I actually didn't realise this until one client pointed to 'Cocoa' on my rack (my original disliked colour) and asked what I had to show her using them. Mortified I realised that it was likely it had never been chosen as I had NEVER done a single colour pop idea with it! Since that appointment I have now added five layering combinations to my colour rings and it has been chosen a few times, one client loving it that much that she has had it twice! Some of those may surprise you but I can only think of two occasions using Fedora or Limeade, the others I don't believe I've used at all. My most recent tutorial was using Night Glimmer (click here to watch it) which I chose purposely as part of this mission. I'm currently wearing Overtly Onyx which I shall show you soon! I'm also currently in the process of making new colour pops using the above mentioned shades to create some exciting designs for my clients as well, just like I did with Cocoa and I encourage you to do the same! 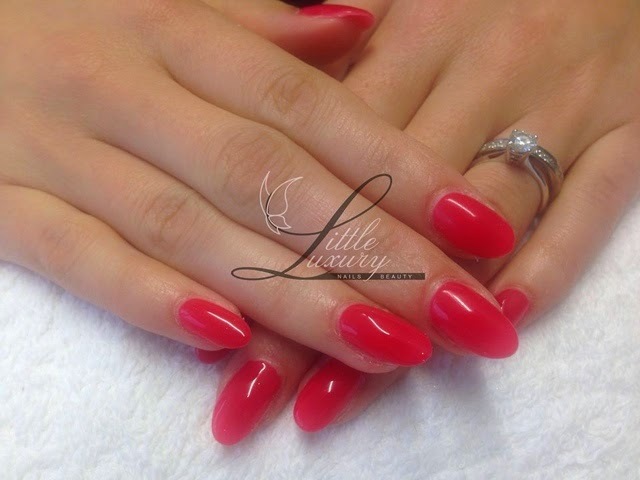 I know that when a client does pick them I will feel a sense of satisfaction. Amongst everything else, that I am not wasting perfectly good stock afterall, the unloved shades are the absolute best painters as well as they've not gone thicker with use! I also think it's fun to gather together you're most unused supplies and see if you can do anything with them on your own hands. I see it as a bit like that programme 'Ready, Steady, Cook!' where they had a limited amount of ingredients and had to make them work - it's a challenge! To keep up to date with what I'm up to, please follow my Facebook Page for regular updates. Hi there!! My name is Kayleigh and I am 21 years old. I’ve been in the industry for 5 years (5 crazy, busy, not so busy, nerve wracking and exciting years!!) and my business name is Little Luxury. I wasn’t the typical person that can say I knew for a long time that I wanted to be in this industry, I fell into it!! At the age of 14 I started looking for a work placement for high school, thinking I wanted to go into primary school teaching. I contacted my local arts centre but was let down for my placement last minute. I ended up running around to my local hairdressing salon and doing two weeks placement there. One of my first set of enhancements - eek! 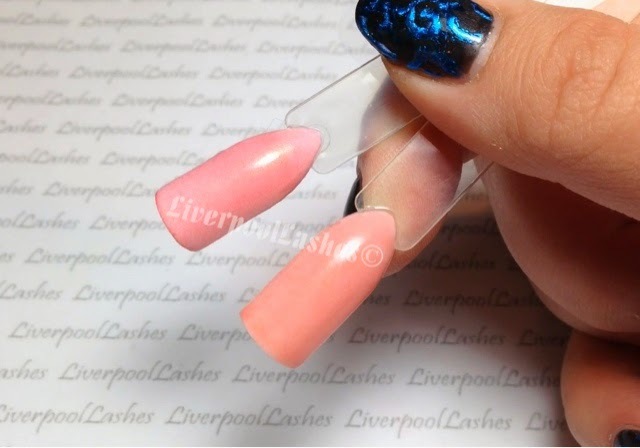 My nail training began with a fast track nail course through Alan Howard with Michelle Porter which was virtually took a few days and then your qualified! Looking back I can honestly say that without any past training, this course was a waste of money and time, which is just my opinion! 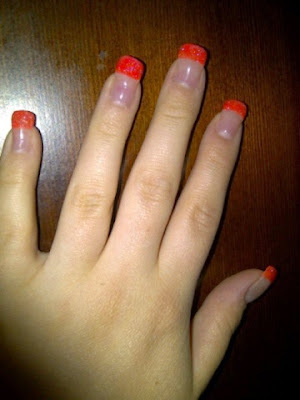 It consisted of the very basic theory work, how to prepare the natural nail and how to apply a full set of enhancements. We then had to come back a few weeks later after working on as many models as we could to pass an assessment. At the time, this course was perfect. I would be qualified in the matter of a month or two and I could get working, I was young, foolish, impatient and too eager to get started. After completing a couple of fast track training courses with Alan Howard and Sallys Salon Services, I began my hairdressing qualification at college. I spent two years studying my hairdressing qualification (one year a full time college course and the second year as an apprentice.) I have to say I learnt the most whilst on my hairdressing apprenticeship. I definitely think apprenticeship 'hands on' training gives you a lot more salon experience. Looking back at my first year of full time studying it was so obvious to which students worked or didn’t work in a salon because of the skill, confidence and attitude difference. 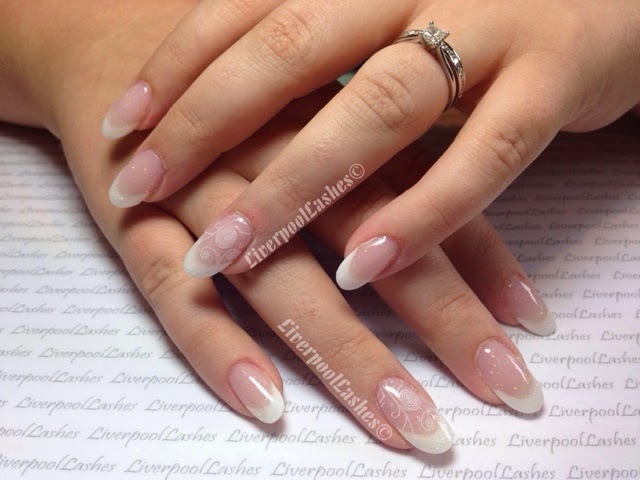 At the same time, I studied my level 2 &3 nail services NVQ on a college part time evening course. I enjoyed and hugely benefited from both of these courses and would recommend local college training to anyone. The only flaw to training through a college in my opinion is that I feel like some of the training can be old school as the tutors and the courses don't keep up with the fast moving industry. Also, once you qualify and leave college you haven’t really got anyone to go back to, pick up the phone and ring or ask a quick question to. I am also trained in HD brows, CND shellac, Fake Bake and Dermalogica which I'll talk in more depth about. HD Brows is a fabulous course and I came out feeling more than comfortable doing the treatment on paying clients. What impressed me the most was the fact that you worked in pairs and had a trainer per couple CONSTANTLY. The support throughout the few days was perfect and once trained is constant. I definitely believe it is worth the money. A refresher one day course is also included 6 months after training. The company and all the staff (even when ringing up and talking to people at head office) are extremely passionate about the brand/ treatment. 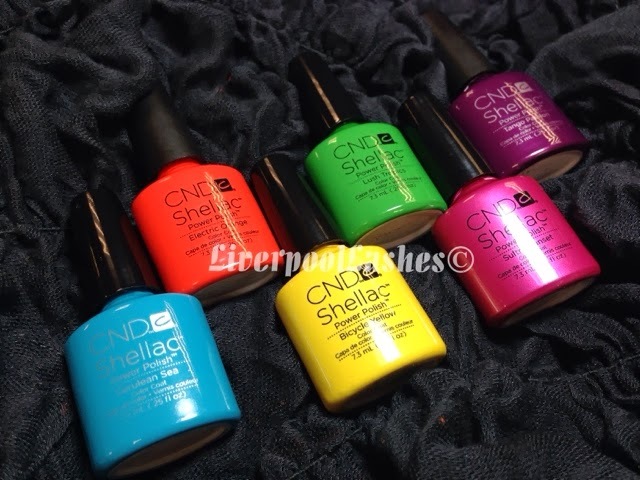 CND Shellac training through Creative Academy Manchester.. I did this training in 2009 and since then the course has changed. The most impressive part about CND is the continuous support through face book and in academy events. 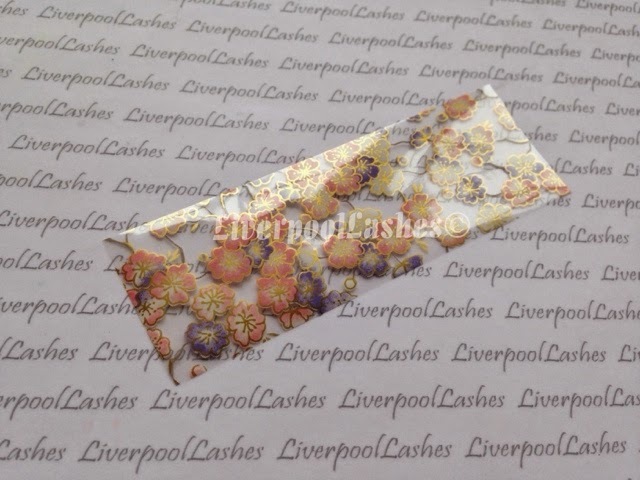 The company is always putting on events for new colours, new products or new techniques and they do not hesitate once if you want to pop in to the store, ring, email or face book them for support, a quick question or problem you may be having. They go above and beyond at any chance they can. The training for this was good. I came out more than capable and had a good knowledge about their products. 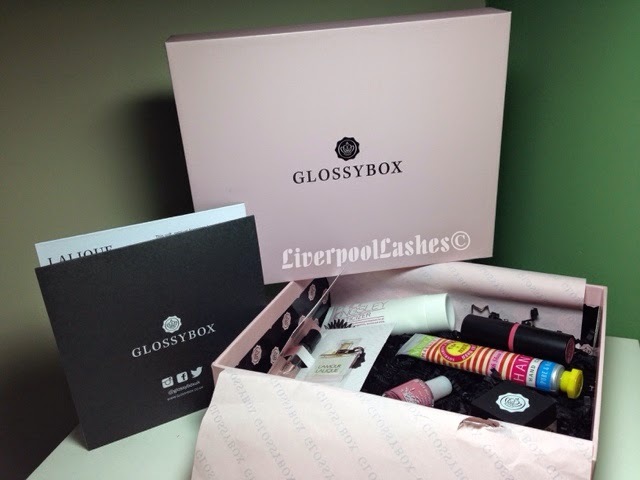 However if you are looking for a brand that is supportive and organised, they are not the right company for you. I had situations when I was trying to place an order (as a small business I couldn’t afford to buy in bulk) there would be NO STOCK and I would be told it would be a few weeks wait - this is not good enough for me!! After your training is practice, practice, practice. Get as many volunteers and 'guinea pigs' as you can until you feel completely confident to charge for your work. Remember, don’t do yourself out of pocket when you start charging clients, friends or family. 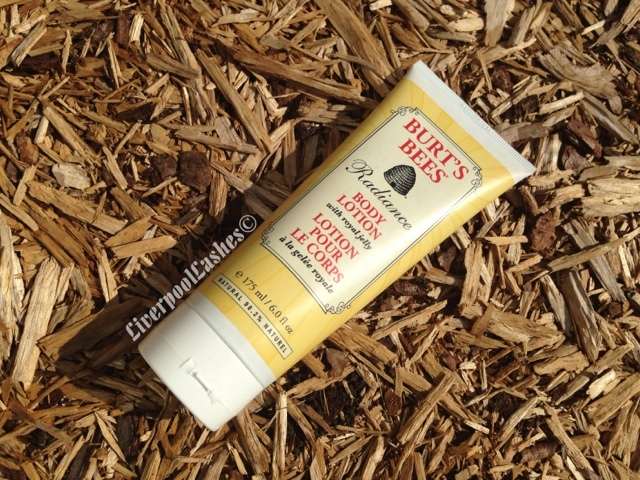 Always make sure you cover your products, your time and charge what you are worth. I made the mistake of going in at a stupidly low price and honestly, I am still paying for that now and still trying to find a way of increasing my prices to the price they are worth! It is hard at first to spread the word, get your name out there and find customers. Word of mouth is and always will be the best advertisement but the other way I did it and still do it is Facebook. 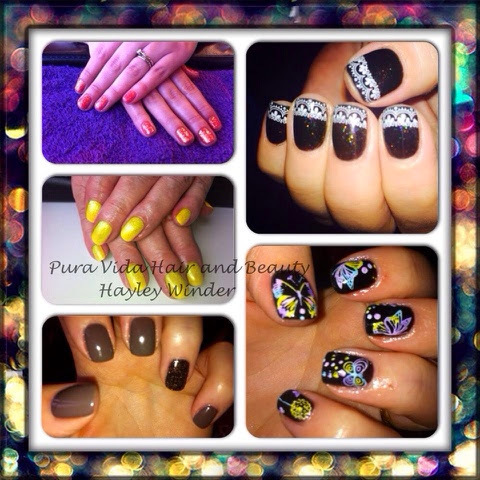 People love to see pictures, it encourages them to follow you, ask questions and book an appointment! I can say 70% of my clients came or still come from Facebook. The main tip is to be consistent, communicate with others on there, run competitions to spread the word of your page and not always posting about hair, nails or beauty.. Put up a picture of something not relevant at all to get people liking/sharing/interacting. There will always be set backs; competition, building clients, getting the money together, take it step by step. 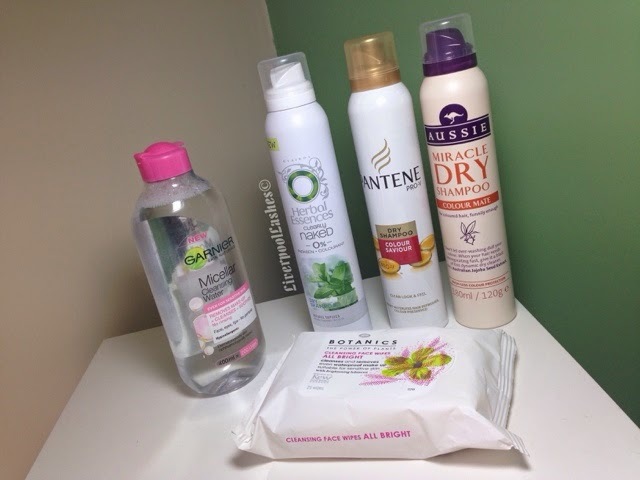 You don’t need the best and most expensive brand or the most expensive décor in the salon. I’ve been in my salon for 6 months now and I still have so much more I want to do but I like to think that I can buy more as I go along and I can invest more as the business grows. My clients love coming in and seeing something new or something slightly changed. 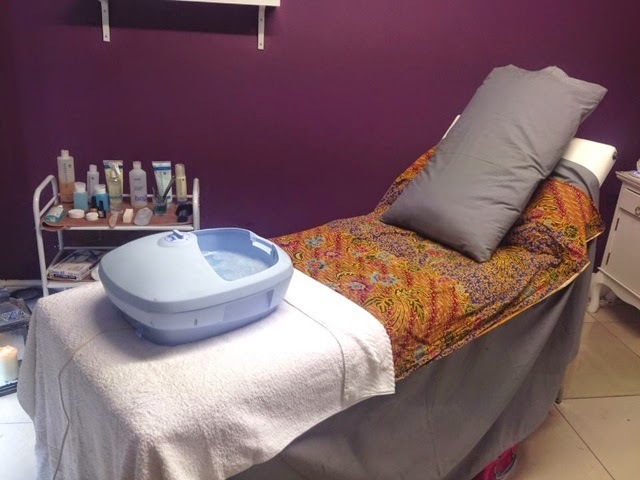 Give your clients the best treatment and experience possible every time they come in, even if its just for a quick eyebrow wax or to pop in for a price list. Giving them the time to chat, answer any questions or give any advice makes them feel comfortable and special and they go out knowing they will be back. 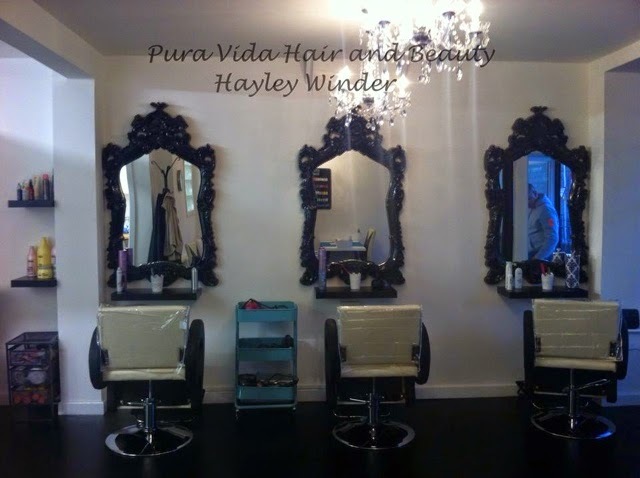 I have gone from renting spaces within other beauty salons, to working alongside other therapists, to working mobile and also working within a well known hotel spa to renting my own beauty side to a hairdressing salon. I have had a lot of ups and a lot of downs through the past five years and learnt A LOT from my experiences. Always take your experiences (whether they are good or bad from your side or others) and learn from them. n Make a note of things you would or wouldn’t do again, or things you have learnt from others to grow yourself and your business. I have now taken on my very first employee (an apprentice) and have lots of plans for the next 6 months to grow and build the salon but I take it step by step, day by day and always stay level headed. If you're local get in touch!! Good Luck for your very exciting future.. And remember.. Step by step, day by day! Thanks Kayleigh! This post was written as part of a series to help new therapists. To keep up to date on the latest posts, please follow my Facebook page. More posts can be found directly under the banner in the 'Advice For New Therapists' tab including posts I've written specifically on building my client base, advertising and much more. 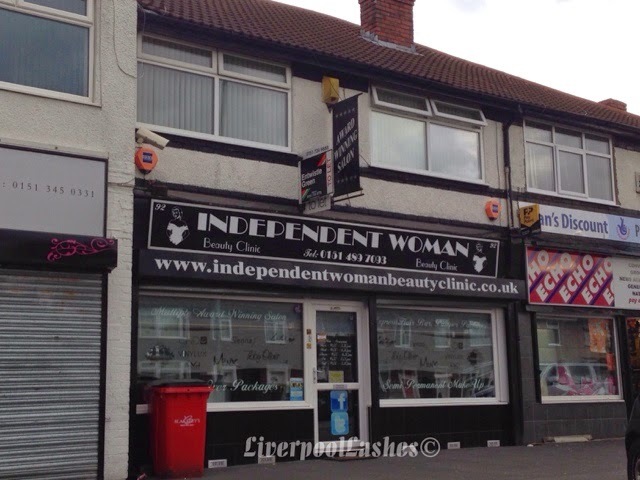 I was invited by salon owner Stacey Melia to enjoy some beauty treatments and experience their service at Independent Woman in Huyton, Liverpool. 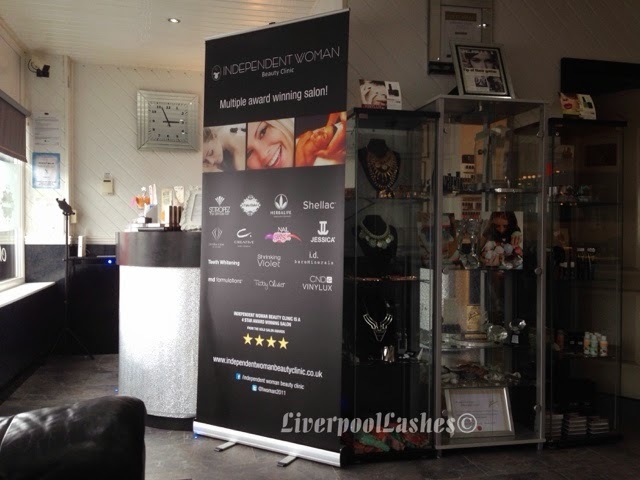 I was extremely excited as Independent Woman won the "Best Salon" award at last month's Liverpool Fashion and Beauty Awards that I attended and it's easy to see why. It was an utter treat actually go somewhere and be pampered as if you're a therapist yourself, you're so used to do that for other people!! 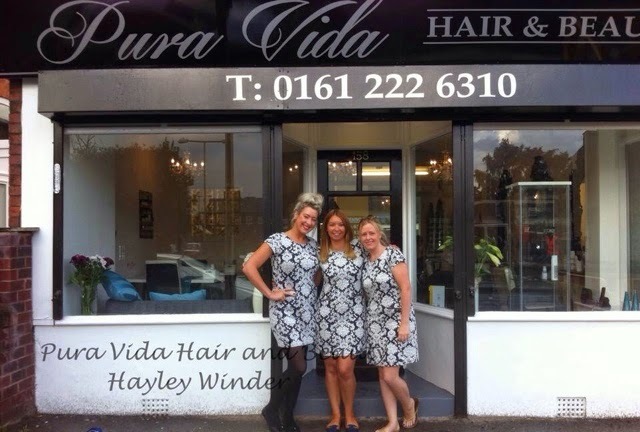 Today was finally the day of my appointment and the moment I stepped through the door I felt welcome by the three full time staff, Stacey, Jenny and Fay. I sat on this huge corner group sofa with these amazing cushions on (pictured below) and waited for my appointment. 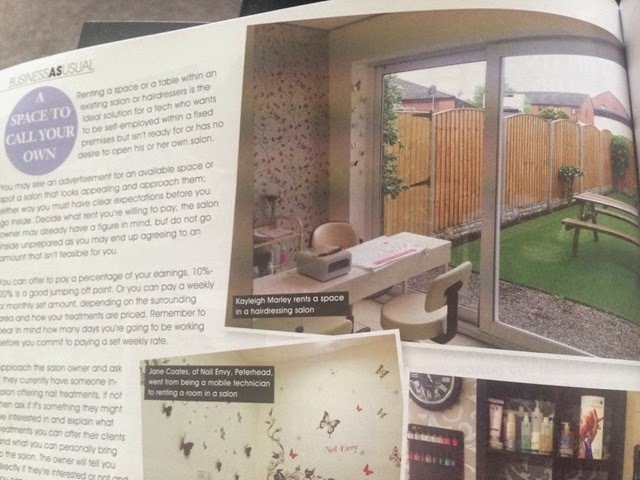 I know this might be a little strange to some people but what I like is that you can't really be seen through the salon window, the nail desks and beauty room are a little further back so you don't feel like you're in a goldfish bowl as you wait!! 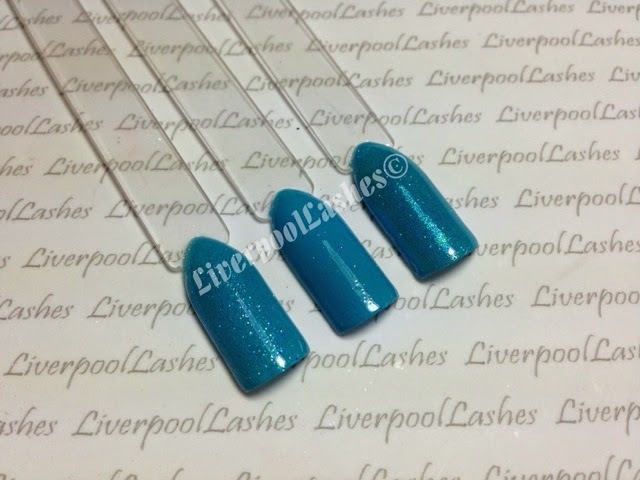 They have the entire range of Shellac shades which I find is pretty rare and a loads of choices of glitters all neatly displayed in their colour families. First up was Jenny going my semi permanent eyelashes. I don't want to say what originally happened to me when I trained in Hollywood Lashes but put it this way, the student made an error. 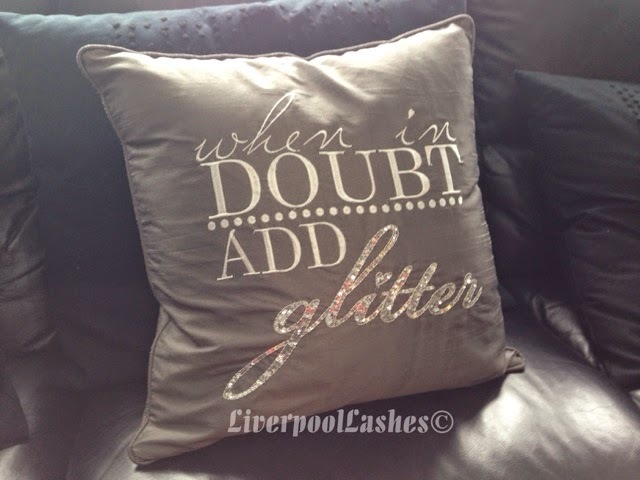 It was this very reason that made me choose to have semi permanent lashes done at Independent Woman because I knew that they would be top notch and that I would be going to someone who knew what they were doing. 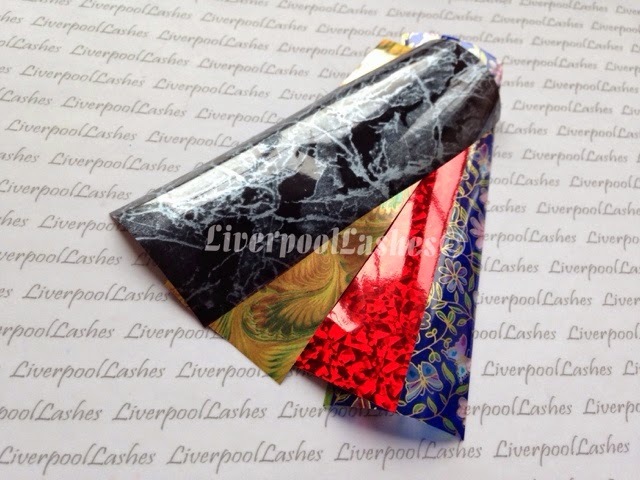 I love lashes, hence the username!! They've been "my thing" for over five years now and they just make me happy. 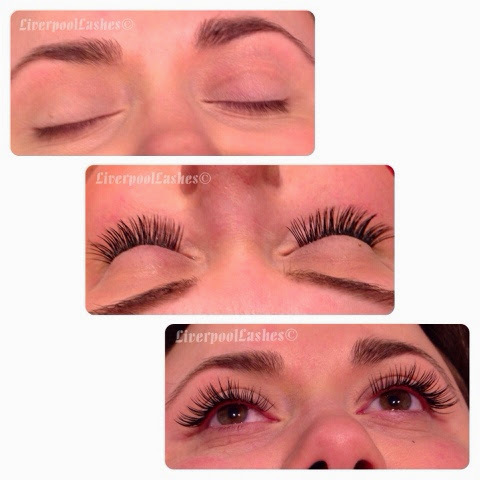 Jenny matched me up to the correct lash to my natural lash and a length was decided. You do need a glue test 24 hours before this treatment, after all we all talking about your eyes and it's important that this is done. I am ecstatic with the finished result! They're just beautiful! They took Jenny around an hour and a half in total for the prep and application and I knew all the way through that she was a complete master at them. Then it was onto a Swarovski Crystal pedicure. This was something I hadn't experienced before but had heard so much about them! 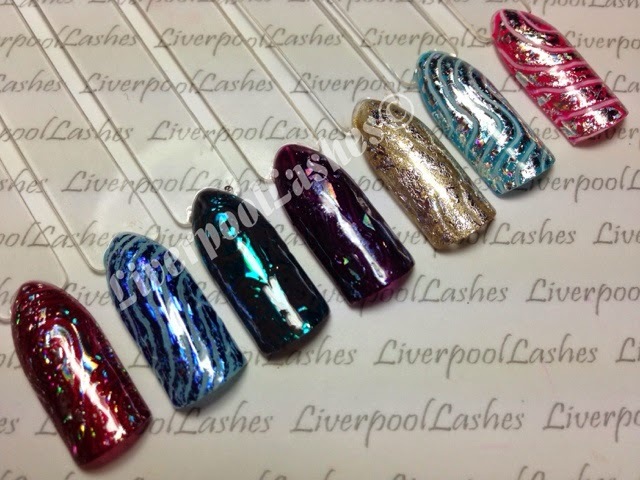 Stacey used Shellac as a base along with an amazing holographic silver glitter. She told me that this was because if I was accidentally knock a stone away you simply wouldn't be able to tell as the sparkles would be there to mask it. She next applied the crystals perfectly in alignment and set them into place like the true expert that she is. When they finished my toes were then treated to CND Solar Oil to nourish them. 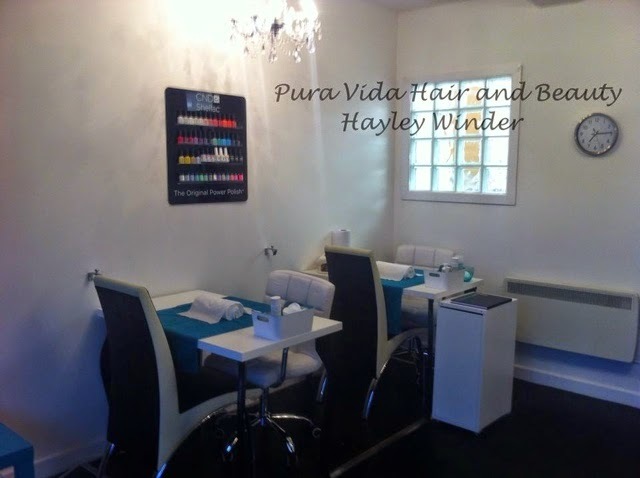 Like I said in the very first paragraph, this well deserved award winning salon has it all, friendly staff and a nice atmosphere along with quality beauty treatments performed to the highest standard which I would highly recommend. If you want to try it for yourself why not see what they're all about? Hi everyone, I am Hayley Winder. I am 30 and have just opened my own salon with a hairdresser friend of mine. I have been in the industry for 16 years. When I was 14 I started my work experience at a local salon, this is where my journey began. 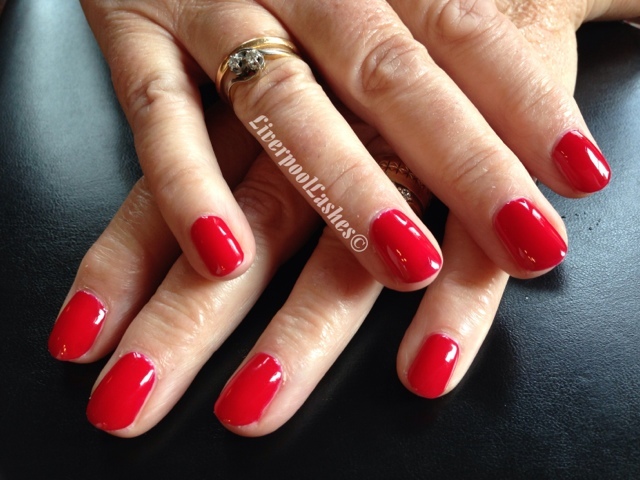 I suppose officially my first experience was when I had my first gel nails applied, aged 13!! Whoops!! Funnily enough I was never one to paint my nails or anything, that was my sister’s hobby. I went straight to the false nail kits at boots! If you’re going to do it, do it right eh?! 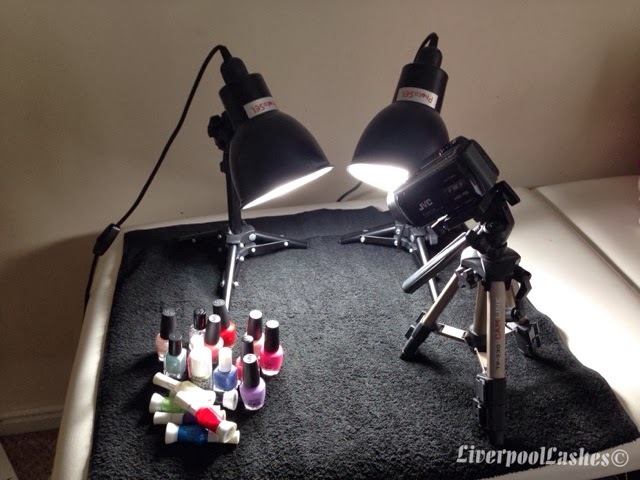 During work experience I was shown how to wax and perform manicures, I was even allowed to do clients! The salon owner then took me on to work during school holidays and Christmas where I gained more experience, then showed her my acrylic skills. God knows what they looked like back then, we didn’t take photos like we do now. The clients were happy enough so this enabled me to get the practice in and learn the importance of client experience and education. Originally I was actually supposed to go to Music College but decided to do a beauty course so that I always had a practical skill to fall back on. At 16, after finishing school I started my 2 year BTEC national diploma applied science (beauty therapy) course. I loved it all and this is where my interest in new technologies within the industry grew. Needless to say, I never went to music school afterall. I was always keeping my eye on new brands and techniques and feel that this has been a big part of my survival within an ever changing environment. During my college days I always worked in salons which was the best thing I could have done as when I came to leave college, I was fully confident I could safely carry out a treatment and to a good standard. A lot of my college friends didn’t work during these 2 years in a salon and I know a lot of them gave up due to not having the experience and confidence which being ‘hands on’ provides. At 18, I became self employed as I was sick of working in salons where I was practically running the place and getting no benefits from it. I rented a room in a hairdressers which was really successful. Apart from trying to provide the best possible service I could, I would leaflet drop, get clients to recommend me by offering a discount when a friend came in etc. The one negative from this time was over stretching my finances to ‘keep up’ with trends. I got a credit card to open an account with a well known tanning brand which cost £1000 with all the good intensions of paying ‘x’ amount back every week. I got stuck with this and was unable to swap to the 0% cards as I was self employed. So a lesson learnt, only buy what you can afford and buy the best possible products you can afford. You can upgrade as and when your business grows. During the time I was there we received very thorough training and assessment. In 2006 I attended the induction to liquid and powder, purely so I could buy their products but really enjoyed the course. The are really professional and thorough. I then went on to the skill builder course to refine skills and again, really enjoyed it. I spent alot of time there last year during an education program. Whilst the course content was good, the tutor treated the students like children which I found unnecessary, this was only one out of a few I saw. The one thing I would say is that they did make students go away to build a portfolio before issuing a certificate to make sure they practiced which I thought was good. I completed a 2 year certificate in education course, then became a lecturer at my local college. 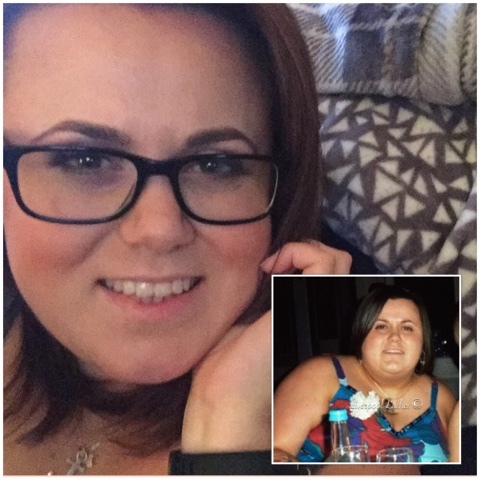 I continued to do my clients from home, whilst teaching but stopped taking on new clients. I left teaching when I had my daughter and when I was ready, I started back at home. Once again pushed to build clients back up to a level worthy of opening my own salon. In this new era of social media, I have a Facebook page which I update with offers and pictures. I also will get my friends to share my posts. I did email offers back in the day when emailing was popular and I could guarantee that every time I did this someone would book an appointment. I still use email as not all clients use Facebook so it's important not to leave people out. I did have a website years ago but personally found it didn’t get me any clients. You will have quieter times but use this time to put some offers together and attract new clients. You will lose some for no reason at all, don’t get disheartened as this could be a number of things apart from you! Remember for every one you lose, you will replace with someone new. During the 16 years I’ve been in the industry, I have always continued to educate myself, attending courses to either learn new skills or refine existing skills. I always tell clients if I am learning a new skill as they like that I keep up to date and appreciate my investment in myself and in the service I provide for them. Right now we have nearly completed our first week in our new salon. It has been great, the support we have received from clients, our family and friends and of course, Facebook groups!!! Advertise with Facebook, leaflets, friends, family and encourage them to recommend you (I give them £5 credit for every friend who has a treatment.) Email or text them, whatever you have access to - always keep in touch. Never put down another tech's work. You can say yes I see where the problem is, let’s see if we can fix it. Keep work areas clean and sanitise tools, you'd be surprised what clients notice. Stay positive when you have a tough client. I used to have one who wanted a particular radio station and would comment if I had forgotten to put it on before she entered the room! Try to remember what clients have told you, even if it’s only one detail. This helps to build a relationship. Leave personal problems at home. As hard as it can be, no one wants to hear you moaning, they have come to be pampered. I still have clients now that I met at when I was 18, back when I was first renting a room. I now do their daughters nails/beauty treatments and this creates a whole new set of fresh clients. If you enjoy what you do this will show. Practice practice practice, you will get there and don’t be afraid to ask for help and watch more experienced techs. 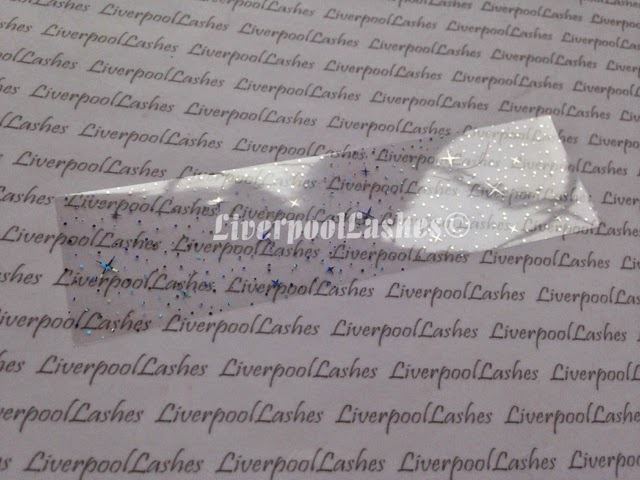 Search You Tube for example, of course LiverpoolLashes etc can provide you with many hints and tips. 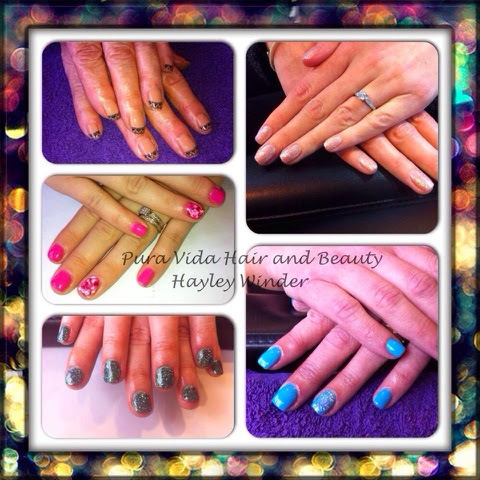 Here are my salon details - why not get in touch if you're local! Thanks Hayley! This post was written as part of a series to help new therapists. To keep up to date on the latest posts, please follow my Facebook page. Every now and again I will watch a series of it but then if I miss the next one then it really doesn't bother me. I would love their lifestyle though I think! I had to Google what a "muscle car" was! Cars aren't really my thing, if it looks shiny then I'll like it, it doesn't get deeper than that. Honestly? No... more like a fish wife. It's less so now as I can edit so many things out and voice over anything so I don't get as bothered, plus I've been making videos for over four years now, I have it down to a fine art! Jax from Vanderpump Rules, he's a full on idiot but he's good looking. I eat lolly ices in bed. I'm not talking all of the time, just in summer before I go to sleep whilst I'm watching You Tube videos or reading. It's a pain really as I then have to get out and brush my teeth again. Yes! Every time! I actually couldn't imagine not doing it either morning or evening, there's no excuse. I don't drink tea or coffee so normally it's a fruity icy something or hot chocolate in winter. Sort of... what I mean is that I started the year with cherry red hair. I had it coloured back to my natural shade and caramel toned highlights in but this was February so they've grown out loads since then. The good thing is, the highlights are underneath my part so they still look good. Cheryl Cole I think, little, petite and feminine. Oh actually I'm not sure if I want to be a little taller but I can't think of anyone. I have read the first book and a small portion of the second book. I gave up the will after I'd read 'he cocked his head' more than fifty times. No, I can't stand other people doing it either. No but when I was in my late teens I did text a friend about what another friend had said.. and sent it to her. That was awkward. No I haven't actually. If creeping has ever been required I'd just get a friend to do it but I hasn't. Anything sweet, I refuse to choose! Wow I've just sat here for the longest time trying to think...!! I would like to think that I am a very likable person and somewhat of an unintentional comedienne. Oh no! I haven't got the energy to change my toes the same amount of times that I change my fingernails! * I'm obsessed with perfume and eyeshadow, it's beyond ridiculous but I can't help myself. * One of my great uncles was a sailor who died on Titantic. * I have twisted hips so I can often struggle to walk in a straight line (no alcohol required!) and I therefore fall easily. I did have the opportunity when I was 10 years old to have both of my legs broken and reset to correct it. It would have meant a scar on the back of each leg running from my ankle right the way up and a year in a wheelchair so I opted against it,. * I've never smoked once, not even tried it. Unfortunately flats all of the time. I am not meant to wear heels due to the twisted hips. I would invent a machine to instantly transport myself really early in the morning which ideally would take me a moment or two. I would then spend the day hopping around the world spending an hour it different States of America as well as all kinds of different countries and far away lands. You did say dream big! I watched a video from Melanie (MrKongsMom) doing a review of Yankee Candles Chocolate Layered Cake. It sounds amazing! I wouldn't say it was a 'rage' but I have been known to wind the window down to shout at cyclists. It really annoys me when they ride along side by side so you have to go onto the opposite side of the road to get past them. If they want to talk, get in a car! Probably one of the only songs I know is Guns N Roses - Sweet Child Of Mine. There are a few more but I don't know if they fit the category! It was some random boy at a school disco when I was 12, I don't really even know who it was, never mind talk to him! I would probably say Fleur De Force, she's very tasteful. Probably Marlena (MakeUpGeek) as she has so much and her own line as well, I'd have a blast! My husband calls me 'Kaggie.' My parents have called me 'big ears' and 'big mouth' (due to listening into adult conversations when I was little. My Pop also used to call me 'Inky Pinky Little Stinky' or 'Stinky' which I love! I do things that everyone can have a go at. It's how I always want to be. I did lend my Pop's cars when I first passed my test, they were super old but I was delighted to be able to drive! 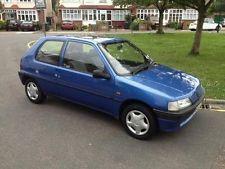 I've had three cars of my own, Peppermint (a Miami Blue Peugeot 106 - N Reg) Sadly Peppermint had to go to the big scrapheap in the sky because some fool in a van decided to not give me right of way and crossed my path so she went into the side of it, writing her off. Then there was Pebbles (a silver Citroen C2 that I got when she was 2 - 04 Reg) She is still within our family, my mum drives her but unfortunately a cowboy garage took over £500 off me, drove her around for weeks on end as I kept seeing them in her and shut the business down when it came to light that they had put petrol in her instead of diesel so my folks had to pay over £250 to have her drained and fixed. After that, things weren't the same so I got Lolly, a brand new bright red Renault Twingo. Either just a regular margarita or something like chicken and bacon. I don't like ham and pineapple - FRUIT ON A PIZZA?!?! It would have to be red. I can't pick a particular brand as there are so many reds I like but that's definitely my colour of choice.